Lisa Rinna Calls Out Lisa Vanderpump for Not Attending RHOBH Events! 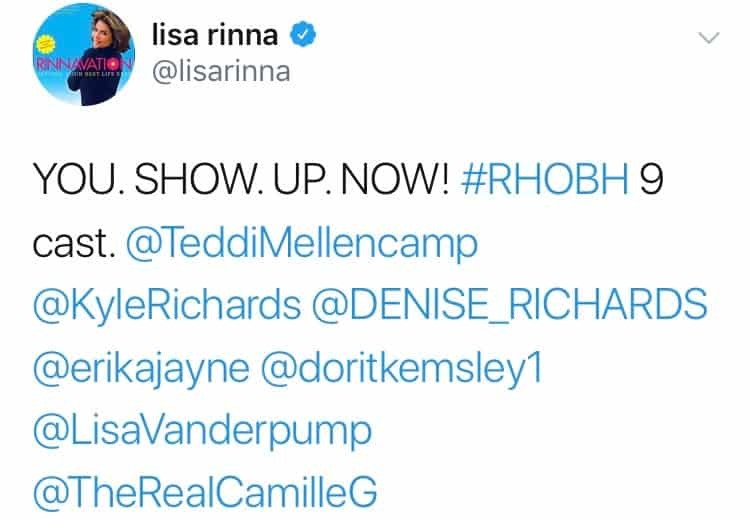 Lisa Rinna Calls Out Lisa Vanderpump and Demands She Attend the RHOBH Premiere Party! 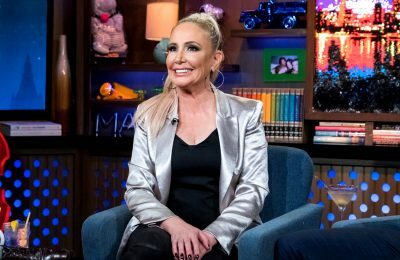 Read Her Intense Tweets and See Kyle Richards’ Response! 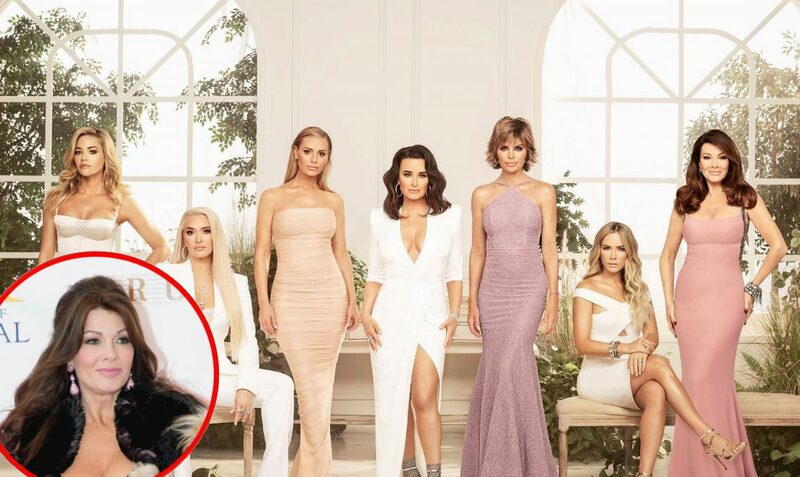 Lisa Rinna is fed up with Lisa Vanderpump‘s ongoing refusal to participate in The Real Housewives of Beverly Hills group activities and has taken to Twitter to demand she attend the upcoming season nine premiere party. 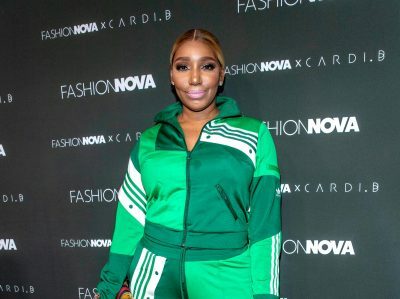 In a series of stern posts shared on Friday, Lisa R. encouraged her co-star to quit the “bulls*t” and show up to the event along with the rest of the cast. “We have our #RHOBH premier party this Tuesday. 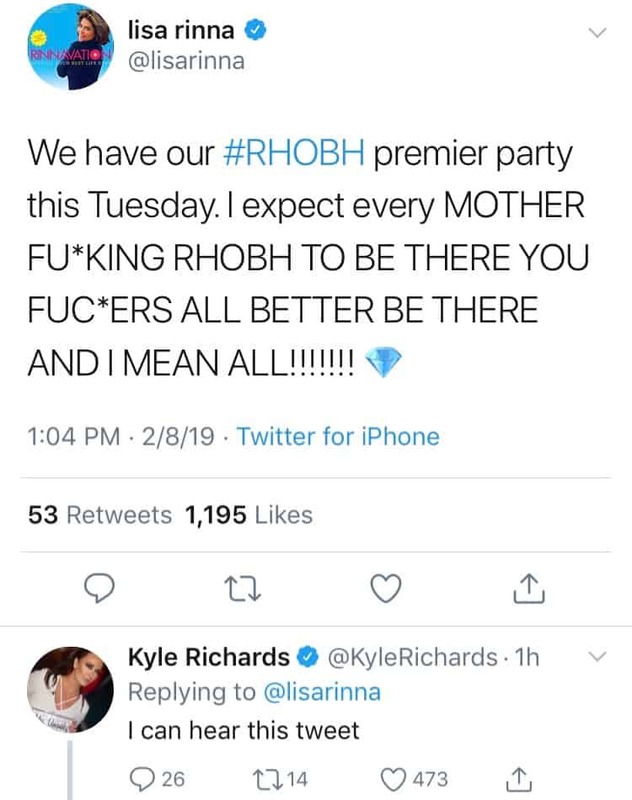 I expect every MOTHER F**KING RHOBH TO BE THERE YOU F**KERS ALL BETTER BE THERE AND I MEAN ALL!!!!!! !” Lisa R. wrote in her first tweet. “I can hear this tweet,” Kyle Richards wrote in response, joking about her co-star’s use of capital letters. 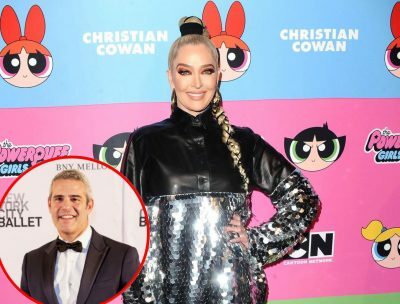 As fans may have seen, Kyle opened up about her strained relationship with Lisa V. on numerous occasions this week, most recently confirming they are “not speaking” during an appearance on Live with Kelly and Ryan. 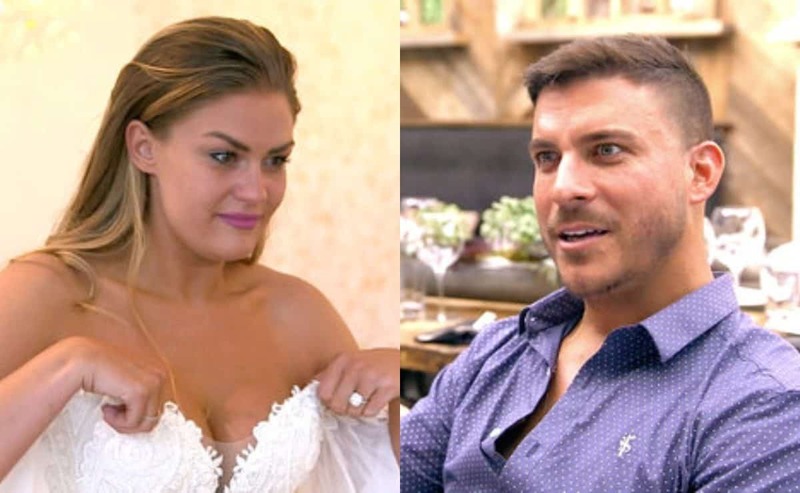 As for Lisa R., she called out Lisa V. for failing to participate in a group photo shoot last September and told her fans and followers that the restauranteur had sequestered herself in a dressing room. Months later, Lisa is R. is ready for Lisa V. to step up, show up, and do her job. “YOU. SHOW. UP. NOW! #RHOBH 9 cast. 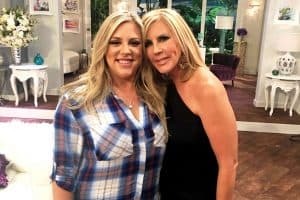 @TeddiMellencamp @KyleRichards @DENISE_RICHARDS @erikajayne @doritkemsley1 @LisaVanderpump @TheRealCamilleG,” she wrote in a second tweet. “NO MORE F**KING BULLSH*T. YOU. SHOW. UP.,” Lisa R. continued. 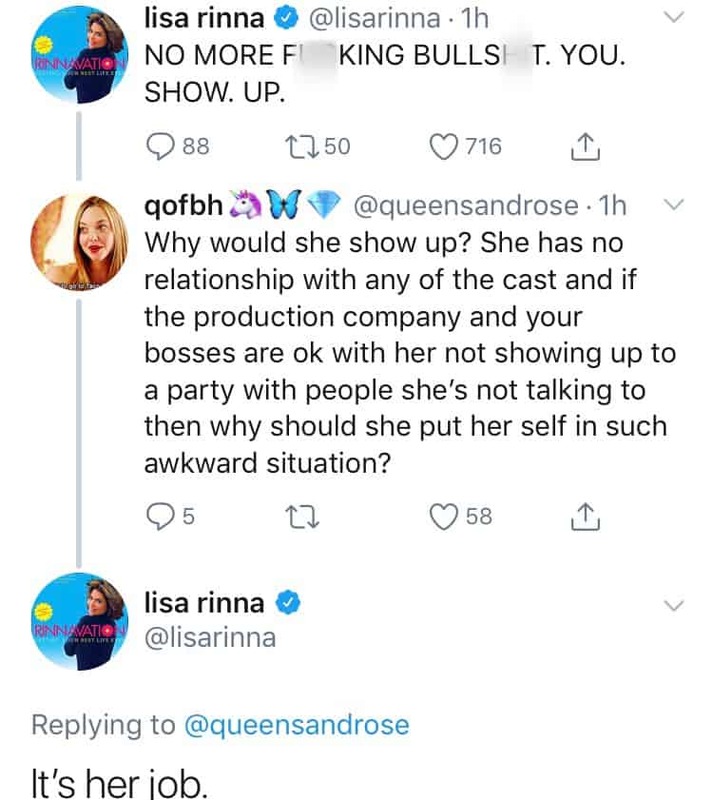 After sharing her third tweet, Lisa R. was met with a skeptical fan, who suggested Lisa V. shouldn’t have to show face at the RHOBH season nine premiere party if she has no relationship with the other women of the show. “Why would she show up? 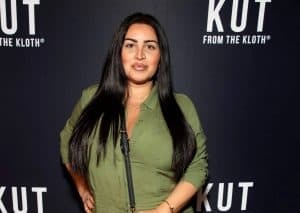 She has no relationship with any of the cast and if the production company and your bosses are ok with her not showing up to a party with people she’s not talking to then why should she put her self in such awkward situation?” the person asked. In response, Lisa R. offered a very poignant explanation for why Lisa V. should absolutely attend the event. “It’s her job,” she wrote.